birthday meal with my family. This small independent restaurant aims to serve fresh and delicious food with a personal touch - and they certainly delivered! We arrived around 7.30pm and we were friendly greeted at the door and shown to our seats. The waiters were so lovely, and we quickly sat down to see the menu. A waiter kindly brought over a bottle of prosecco which they said was on the house as we were celebrating so that was really nice! The menu was wonderful, and the food was very special and sounded amazing. I opted for Garlic and Chilli Prawns with Homemade Bread to start, and then the Catch of the Day which was Pine Nut Crusted Fillet of Cod on a bed of Verde Orzo for my main. The food was so delicious and everyone thoroughly enjoyed their meals. I then opened my presents from my family, and I was blown away and so grateful for all the amazing things I received. I especially enjoyed opening 18 gifts from my Nan and Grandad! After opening my presents a beautiful cake was brought out by one of the waiters and everyone sang Happy Birthday. The cake was so pretty as it was covered in roses, and I also received a bouquet of lilies - get it?.. 'Lily Rose'. We decided to take the cake home though to have another time because we fancied some desserts off of the menu instead. I decided to have the Mint Chocolate Fondant because I absolutely love anything minty and chocolatey! The fondant was so so delicious - the perfect ending to an amazing meal. 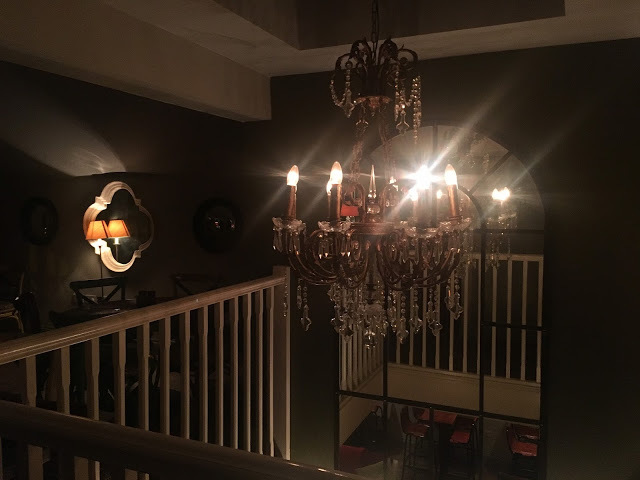 I was impressed with Herbert's and I would definitely recommend it to anyone who would like to go out for a special meal. The interior is so cosy and comfortable - and the food is delicious! Thank you to my family for organising an amazing birthday meal, and for celebrating with me!